Take this traditional showstopper to the next level by adding Camp Coffee to the filling. 1. Melt the butter in a pan over a low heat. 2. Add the Camp Coffee and digestive biscuit crumbs into the pan and stir to combine. 3. Place the mixture into a 20cm (8in) metal flan ring on a lined baking tray and press down. Chill in the fridge for 30 minutes. 4. Open the canned caramel and spoon on top of the biscuit base. Slice the bananas, sprinkle with lemon juice and arrange on top of the caramel. 5. 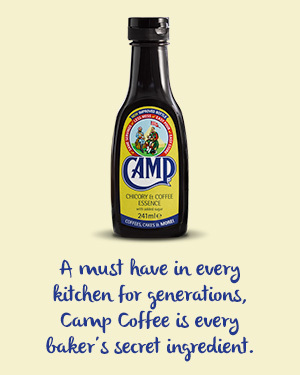 Whip the cream with the Camp Coffee to form soft peaks. 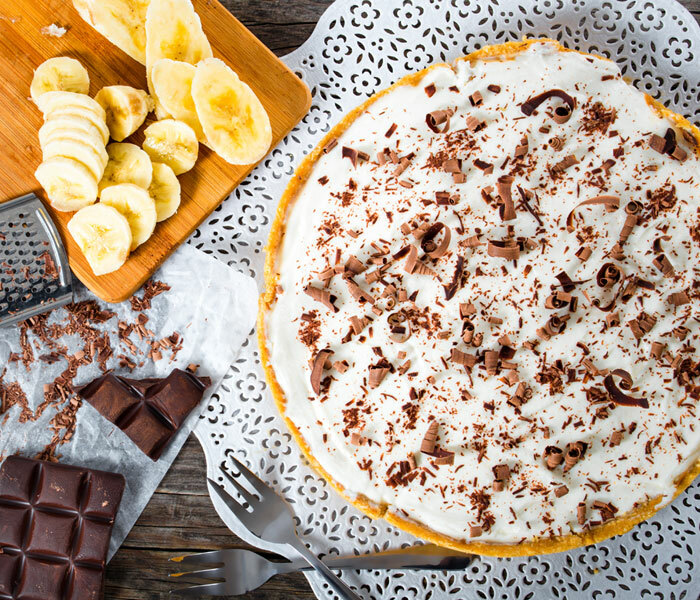 When whipped, cover the caramel and bananas with the cream and top with grated chocolate. 6. Note - you could leave out the bananas and just have a coffee, toffee pie!